Need a plumber in Sacramento immediately? As with almost any household appliance or fixture, plumbing needs service after some time. Even if your plumbing doesn’t cause major issues or show signs of age, it’s still a good idea to have regular inspections of your household or facility plumbing. Pipes will often last longer than features with knobs or other moving parts, such as sinks or shower faucets, but you will still need to service or replace these parts every couple of years. Time brings with it the need to repair or replace your plumbing. We are ready to help! At our plumbing company, we are committed to offering customers high-quality services that will give them the long-term results they want. If you’re tired of your old kitchen fixtures or need serious repairs to your plumbing system, we are prepared to help. Fixing your plumbing can be a simple and fast process when you work with the best plumber in Sacramento, Armstrong Plumbing. With more than 50 years of experience and a team of well-trained technicians, we will work hard to solve your plumbing needs. Whether your sink is backing up, you are experiencing slow drains or a clogged toilet Armstrong Plumbing can help. Let us handle that leaky toilet or install new plumbing fixtures in your bathroom. If you have old style plumbing features like cast iron or orangeburg, our team is prepared to help! Our kitchens are the central focus of our home. When something goes wrong with your kitchen plumbing it can derail the flow of your routine. We can help with garbage disposal installation, moving fixtures for a remodel, water leaks and more. If you have a broken, damaged, or clogged sewer line or drain, we have the sewer and drain technology to help! You can count on us to offer top quality camera inspection of your sewer lines to determine the issue and find the best possible solution. Armstrong Plumbing offers trenchless sewer or water line repairs and replacements, which may include clearing your blocked sewage or installing new piping. We utilize the best in copper piping, PEX piping, HDPE piping, and more. We can adjust and fix leaking joints in no time. Are you having issues with your existing water heater and need a new water heater installed? Armstrong Plumbing can provide you with the highest quality repairs and replacements. From electric to gas, tank or tankless, we will make sure you don’t go without hot water. We can install a water softener for your home, no matter what size or type of water source you have. Our technician will work with you to determine what type of water softener and filter system is best for you. Laundry areas have a variety of plumbing items that will need to be monitored, such as the tub drain and pump. Toilets, sinks and shower heads requiring periodic repairs. Bathroom sewage ejector pumps and sump pumps need maintenance. We will check your trip lever, fix dripping faucets and repair leaking toilet. We will tighten your toilet seat and/or replace your faucet. Shower heads and drains can also function less efficiently if they aren’t maintained and kept clean of build-up and debris. Contact us today to schedule services or discuss an estimate for your repairs. 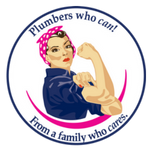 Need a Plumber in Sacramento? We Can Help!